Exploration no. 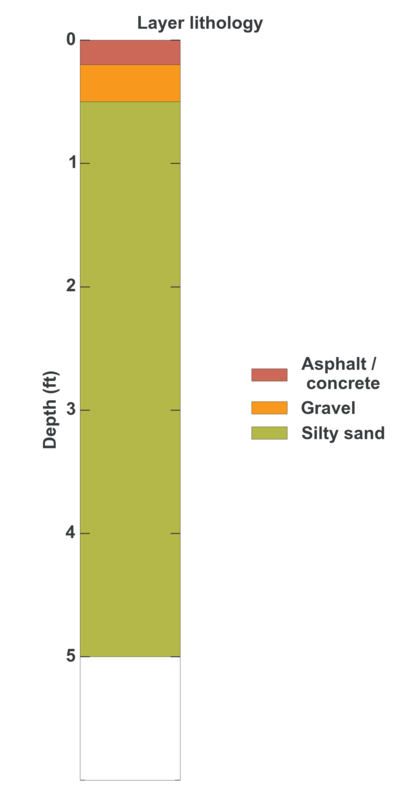 74016 is a Test pit (depth 5 feet) named: TP-3 described in subsurface document no. 16070. The document, a report titled Bellevue School District Transportation Center Renovation was prepared by Rittenhouse-Zeman and Associates, Inc. on 01-14-1987 for a Transportation - non-roadway project.